It implies that the manufacture of the guns will start around 2033. Notionally if 1000 guns are required and rate of production is 24 guns/year then the last gun will be manufactured after about 42 years. This takes the time line to 2075. Guns became the primary means of countering air power when it raised its head at the turn of the last century. Swedish gun manufacturing company Bofors came up with the ever green air defence (AD) gun 40mm L/60. When caliber (40mm) was multiplied by 60 – it gave the length of the barrel which was 240mm in this case. This gun came into service during the Second World War – around 1940 and was still service in India till end of the century including on board Indian Navy ships. Its successor was also by Bofors named 40mm L/70. 40mm L/70. L/70 came into service in India in 1964, just after the Chinese debacle of 1962 and just before the 1965 war with Pakistan. It was the first modern gun which India acquired even when compared to field artillery. The gun was radar controlled with double the rate of fire of 40mm L/60, longer range, all weather and higher lethality. The 40mm L/70 gun system which included the fire control radar and generators for power supply, was nick named ‘Sudarshan Chakra’ as the gun followed the target automatically like the ‘Sudarshan Chakra.’ Regrettably not many L/70 guns were in service by the time the 1971 War with Pakistan commenced thus majority of Pakistan aircraft kills were by L/60 guns. 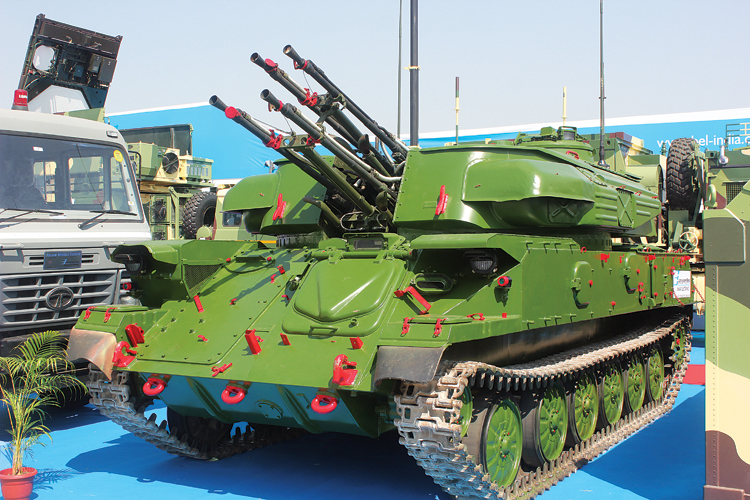 The L/70 gun has been upgraded jointly by Ordnance Factory, Jabalpur and Bharat Electronics Limited (BEL). The upgrade includes an electric power lay; improved sighting system with laser range finder, a thermal imager, an onboard small computer and a matching generator which makes a single gun to operate autonomously and also make it mobile. 23mm Twin Barrel Gun. This gun is of Soviet origin and has been in service in India for about four decades. It is manual, with a high rate of fire, light weight and highly mobile but is not all weather. It was acquired for field formations where the all weather air threat was not expected during that time. It has been upgraded by BEL. The upgrade includes an electric power lay; an improved sighting system which includes a laser range finder, a thermal imager and a small computer. It also has an on mounted generator thus making it an all weather system. As a parallel effort Punj Lloyd has also upgraded one gun and finally won the bid to upgrades a selected number of guns. Schilka System. It is a highly mobile system for supporting mechanised formations and has been in service since the early 70’s. It was the first modern SP system in service in India which was highly mobile on a tracked chassis, had a high cyclic rate of fire of 3400 rounds per minute with its four barrels, on board fire control radar and power supply. Limited numbers have been upgraded by BEL. The upgrade includes a new fire control radar, computer, sighting system, a new engine and environmental control in the cabin. Tunguska. Shilka’s successor was Tunguska, one regiment of which was procured from Russia but there have been many twist and turns for buying additional mounts. 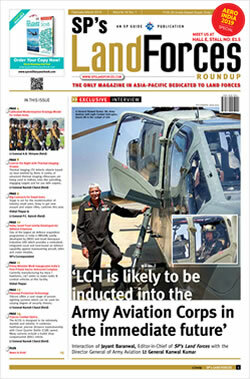 The result is that the Army AD is stuck with limited equipment which does not meet the current operational requirement. At some stage, Army will run out of spares and the systems will just collapse and become obsolete. Skyshield of Rheinmetall Defence. Not many gun systems are currently available but a possible choice is Skyshield of Rheinmetall Defence which has an effective range of 4 km and rate of fire of 1,000 rounds per minute. It can be matched with any fire control radar and the most redeeming feature is its Ahead (advance hit efficiency and destruction technology) ammunition which contains 152 heavy tungsten metal, spin stabilised sub-projectiles and ejected by a time fuze. It is claimed to be very effective against small targets. However the company had come under the shadow of corruption and at present black listed by Indian Government. Railgun. This revolutionary concept is being developed in US, China, Russia, China, turkey and India but US is far ahead. A railgun is a device that uses electromagnetic force to launch high velocity projectiles which will have at least 50 per cent higher velocity and much longer range than current systems. At present railgun is being examined for use as AD and anti ship weapon. However it is in its nascent stage and also needs very high power supply thus its employment as a towed/SP system for army is doubtful in the near future. The guns have a limited range of 3-4 km and are thus deployed ahead of the defended target so that the aircraft is engaged before it can attack the target. This is called point defence in AD parlance. L/70 gun regiments are held by AAD and are deployed on strategic assets which include both civilian (like nuclear plants, strategic logistic choke points etc.) and military assets of the army, navy and air force. These assets are not mobile thus towed L/70 system is most suited for them. SP gun systems being mobile are employed with mechanised formations. Cost wise gun is much cheaper than missiles but by itself cannot match the current air threat of stealth aircraft flying at supersonic speed and armed with stand off weapons. Thus many developed countries like US do not believe in guns and have developed very advance missile systems which cover the whole threat envelope to include manned aircraft, unmanned aircraft, helicopters, cruise and ballistic missiles. However majority of the countries with AD capability have deployed a healthy mix of guns and missiles to acquire a cost effective solution. 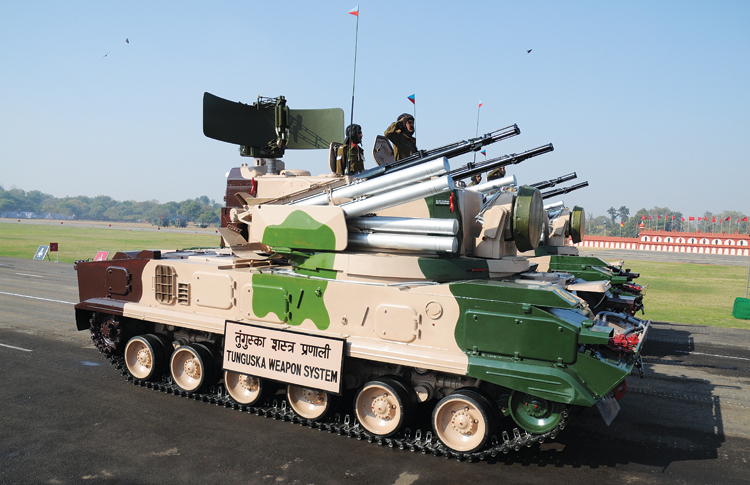 Armament Research Development Establishment (ARDE) of the DRDO is assigned the role of developing small arms and guns for the Armed Forces but they have not been able to deliver as far as AD guns are concerned. ARDE was given a project about four decades but were not successful. 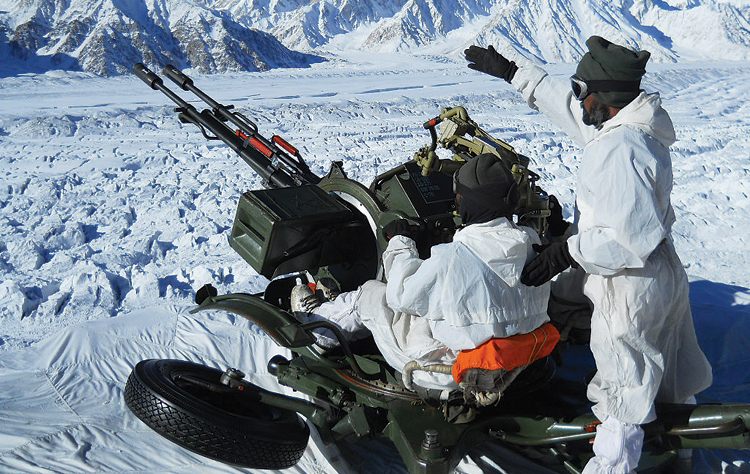 Thus the Indian Army is stuck with old gun systems. L/70 was being manufactured in Gun Carriage Factory Jabalpur but the production line was closed due to want of demand. There were still about 60 technicians skilled in L/70 till 2007 but they must have retired now. The remaining gun systems were all imported from erstwhile Soviet Union. Successor to L/70 is red hot priority as it is almost 56 years old. Thus there is a requirement to replace them at priority. Other gun systems then can follow as some of them (23mm twin barrel and Schilka) have been given a limited lease of life due to upgrade. Successor to L/70 – Practicality of Time Frame. As already mentioned above that the gun has crossed its golden jubilee thus the urgency to replace it cannot be over emphasised. So far the acquisition process has not started but one can estimate that the process of Defence Procurement Procedure (DPP) optimistically will take five years; this will be followed by transfer of technology, development of the system and its trials, may take about 10 years. Thus it implies that the manufacture of the gun will start around 2033. Notionally if 1,000 guns are required and rate of production is 24 guns/year then the last gun will be manufactured after about 42 years. This takes the time line to 2075. Considering the life of a gun to be 30 years; the last batch of guns should last till 2105 and the replacement will be required, for the earliest guns inducted, from 2063 onwards. This process can be compressed if multiple companies take on the production. This indicates that the inordinate delay in starting the replacement has cost Point AD capability dearly. Development and production of guns to be current till 2105 is completely unrealistic. This time can be marginally reduced but with past experience of acquisition time frames, it can be said with some authority that there is likely to be delay then reduction of time frame. 23mm Twin Barrel Gun. This system will meet the same fate if the process for its successor is not initiated in a reasonable time frame. SP Gun Systems. As the numbers are small and if they are really required then the option of import route can be taken. As per media reports the Army has formally projected a requirement of 938 guns to replace in-service L/70 and 23mm Twin Barrel Guns at an estimated cost of about $3 billion. The route taken will be Indian Designed, Developed and Manufactured (IDDM) category of the DPP. Indian companies which could be in the run are L&T, Tata, Kalyani Defence, Punj Lloyd and Mahindra Defence. Ordnance Factory should be in the loop as they have the infrastructure and the longest experience in producing defence equipment which is about 100 years. Ordnance Factory Kanpur is probably the only gun and tank barrel making factory in India. To replicate their skilled manpower and infrastructure in private companies will take a lot of resources in time and money. The above time frame should also be taken into account before a decision is taken to manufacture guns in India. The other connected factors are the fire control radar and the ammunition. Off course the time frame can be reduced if more than one factory can take on the production. The first procurement initiative had projected that all guns should be replaced by December 1999. Briefly the air threat will have manned aircraft; unmanned aircraft, helicopters, cruise and ballistic missiles. It assumed that the stealth technology will be applied across the board on all platforms, speed of fixed wing aircraft will be supersonic and for missiles it will vary from supersonic to hypersonic. There will be fourth to fifth generation avionics and air armament. Artificial intelligence will be used where ever possible or required thus the guns will be no match for such a threat. There is thus a requirement to carry out an in-depth study on ‘gun versus missiles’; ‘mix of both till the guns and the fire control radar can be maintained and ammunition provided’ and then shift to ‘pure missile defence’ which is the near future and future option. The study may recommend an interim solution. The factor of dead zone of missile systems can be a limiting factor but intelligent deployment and future missile technology will obviate this limitation. DRDO should be encouraged to develop the next generation of SAMs including shoulder fired (which could selectively replace guns for point defence). This will not be too difficult for DRDO considering the technological base they have established with Akash and inputs from Israel for the Medium Range SAM (MRSAM).